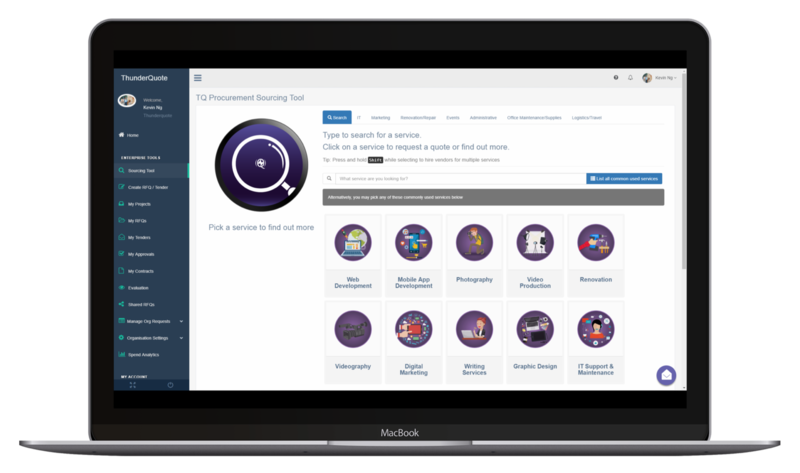 Tips and tricks to take your procurement to the next level. Mention “Procurement” and the act of placing orders for required business goods and supplies come to mind. As a business function, Procurement is one of the most understated functions, being perceived more of a supporting back-room function than a strategic one. And most of these perceptions have to do with the fact that many of us consider ourselves as “experts” in procurement, being able to handle with ease our weekly shopping and scouring the best deals for electronic gadgets from the numerous online marketplaces. However, the role of Procurement in a modern organisation needs to be addressed differently from our personal and private experience. In manufacturing and production organisations, the act of procuring raw materials often rests on a dedicated department named “Materials”, “Supply Chain” or similar. The purchasing of raw materials and direct services for the production of finished goods is a tightly controlled process, driven by sales orders and product designs. In the assembly of say, a bicycle, there is a need to procure two wheels, two tyres, one chain, one seat, and so on. It goes to say that if one hundred bicycles were to be produced and sold, there needs to be two hundred wheels, two hundred tyres, and so on. The size of the wheels, tyres, seats and most other components are known and specified in detail. In this aspect, the procurement of Direct goods and services is well controlled and integrated with the overall business process. For non-manufacturing organisations, the concept of procurement is less well known as the definition of Indirect material is vague. Take the example of a retail bank; the printed forms used to open new deposit accounts cannot be considered as a direct material as not all customers who visit the bank will need to fill in such a form. Likewise, the prime mover used to haul a container from the port to a customer site cannot be considered as a direct product, as the prime mover is only an enabler to the services rendered. However, the printed forms and prime movers need to be procured for the service operations. Likewise, there are numerous other products and services that are required to execute and deliver a service to customers. The variety of goods and services procured by a service organisation are often referred to as “everything under the sun”. This is the dilemma of non-manufacturing organisations, and it is understandable that the practice of actively managing the procurement of indirect goods and services is less developed than for these organisations. Start saving on indirect procurement today with ThunderQuote procurement system, try out our ThunderQuote Enterprise for 30 days or request for a demo. The development of professional practices for indirect procurement can be said to have started in the late 1990’s. A number of multi-national and major corporations faced stagnating growth and rising costs. Some corporations were facing a situation that their business acquisitions (and mergers) were not delivering the anticipated synergies that improve overall profitability. In a bid to stem and control the run-away and often unknown costs, many of these corporations setup dedicated procurement functions to identify and realise cost benefits from their economies of scale, and succeeded. Not only are the major corporations embarking on this journey, a number of public and non-profiting organisations have adopted procurement as a business function as well. And the benefits of managing procurement as a strategic function is substantial. This series of articles will examine and break down the workings of modern day Procurement in simpler terms, supported by examples where appropriate. The following articles will present and explain some practices such as Spend Analysis, Strategic Sourcing, Purchase-to-Pay (P2P), eSourcing, Compliance and many more. ThunderQuote simplifies your procurement process with an enterprise software designed for your procurement needs with in-built best procurement practices. Try out our ThunderQuote Enterprise or request for a demo. Contributed by Lin Chee Kin, Senior Procurement Leader. Chee Kin has extensive experience in developing and implementing business strategies to transform business practices. In his career, he held responsibilities in the structuring and operation of strategic procurement in a logistics company both on the global and regional levels. Want to organise all your procurement processes in one system? Check out ThunderQuote e-Sourcing and e-Procurement System for all your procurement needs.